The Firehouse | North Brooklyn Community Center is working to renovate the former Engine Co. 212 firehouse into a permanent home for neighborhood nonprofit organizations and provide a unique space to foster community, culture, and conversation. Our vision for The Firehouse is to be a hub for bringing the community’s long time and newer residents together for events, talks, entertainment, and critical dialog focusing on art, politics, and current community and global issues that impact us all. The Firehouse, formerly The Northside Town Hall, is a 501c3 nonprofit organization formed to spearhead the renovation and activation of the decommissioned Engine Co. 212 firehouse. Located at 134 Wythe Avenue between N8th and N9th Streets the one of a kind center will serve North Brooklyn, and beyond, by providing a dedicated public space to foster the rich civic and cultural life of the area. The project has garnered the excitement and support of the North Brooklyn community, local elected officials, and major donors all who have committed significant funding toward our vision. In addition, hundreds-of-thousands of dollars have been raised through small donations and community events. Though these combined efforts we are within $250,000 of our final goal of 2.8M before we have keys in hand and break ground, making the vision a reality. At the height of the recession in 1975, New York City moved to shutter Firehouse Engine 212. In response, the local residents fully occupied the building around the clock in protest for 16 months. The city eventually acquiesced and re-opened the firehouse in a major victory for the North Brooklyn community. 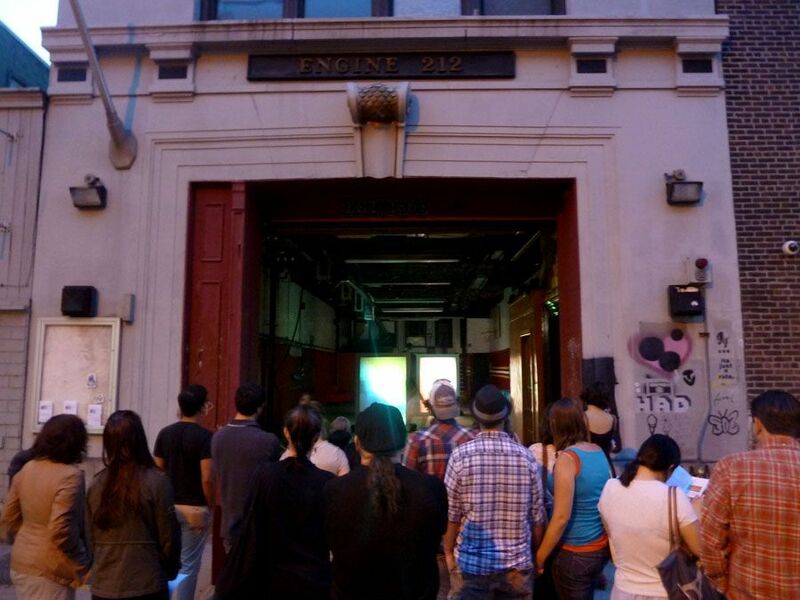 In 2003, the City again announced the closing of Engine 212. In response, the community united behind a proposal that the firehouse become a community and cultural center. This effort was led by The People’s Firehouse (PFI) and Neighbors Allied for Good Growth (NAG), two well-respected local organizations, both of which have been servicing and advocating for the community for decades. In 2008, the City awarded development rights for Firehouse Engine 212 to PFI and NAG, both with their own unique legacy of and commitment to community leadership. Since, the groups have worked collaboratively to sustain The Firehouse’s vision of revitalizing the former space into a town hall style community and cultural center to foster civic and cultural engagement leading to community success.